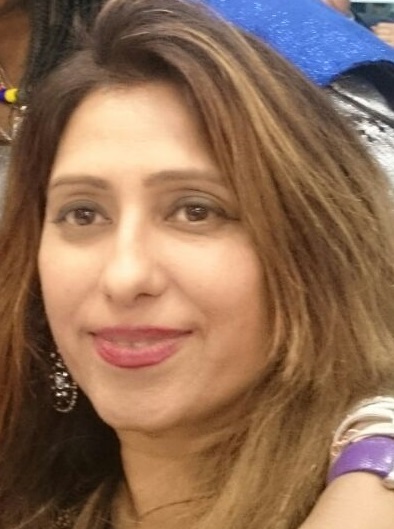 Sarbjit Ganger is Director of the Asian Women’s Resource Centre, a specialist women’s organisation based in the London Borough of Brent which provides holistic, independent, specialist and dedicated support services to Black, Minority, Ethnic and Refugee (BMER) women and children experiencing abuse. Sarbjit has over 20 years' experience working to end violence against women and girls. I am passionate about supporting Black Minority, Ethnic (BME) women who have experienced domestic abuse. I have seen the impact that domestic abuse can have on the lives of women and children and I wanted to make a difference. Asian women who leave a violent situation and speak out about domestic abuse are often stigmatised by their community and extended families, and as separated or divorced women, they face social isolation. Consequently many women remain in abusive relationships, putting their physical safety at risk and damaging their self-esteem and confidence which often leads to self-harm and attempted suicide. South Asian women, particularly those who are more isolated, are not aware of their rights and entitlements consequently experience difficulties accessing services. How have things changed during your time at the AWRC? In the 1980s, around the time the AWRC was set up, we had a thriving and vibrant women’s sector. If a woman rang up saying that she had experienced domestic abuse and needed refuge accommodation, we could ring the helpline and get a space immediately. Now, it can take up to two weeks to find refuge space (if we are lucky) and if women have no recourse to public funds it’s becomes even more difficult. This is a sign of the way that things have changed. Declining resources have been hard hitting on both the voluntary and statutory sectors. This has in turn has impacted on the lives of women and children. The smile on a women’s face when she tells you that the AWRC has given her a new lease of life, and that if it was not for the AWRC that they would still be living in a violent situation. The fact that the organisation has supported hundreds of thousands of BME women and children to live free from domestic abuse. Sadly, there is still a lot of work to do because there are many women who are still suffering in silence, unaware of available services and who to turn to for support. It is an absolute privilege and honour to work with these women and if you want to give vulnerable and disadvantaged women a voice and address inequality, I would say go for it.